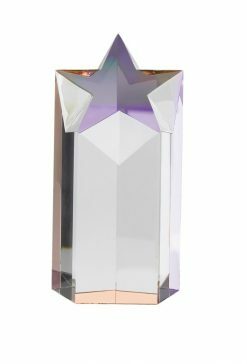 Here at silvertrophy.com, we are proud to offer this stunning SCW51 Crystal Star Award in three different sizes, ranging from 6″to 10″. The beautifully detailed cut Crystal star sits on a sculpted body. 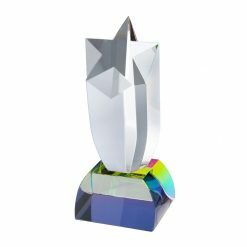 This magnificent Award sparkles and in the light, making it a truly beautiful piece. Whether given as a gift or as a prize, this superb Award will be treasured for many years to come, and is definitely a prize worth winning.